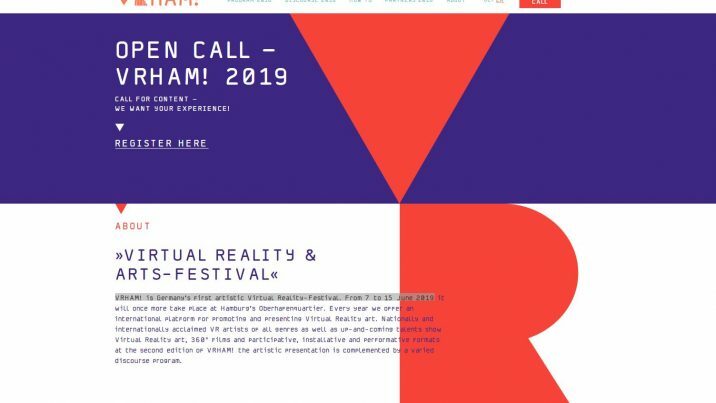 VRHAM!, Germany’s first artistic virtual reality festival, has opened its call for submissions. The deadline to submit work is March 3, and the festival takes place in Hamburg, Germany, June 7-15 at the Oberhafenquartier. This year’s theme is DIS:SOLUTION: “We are looking for artists to present their own concepts of dis:solution, de:limitation, etc. Where do we cross borders, where do they blur? Whether your focus is on media, material, political, physical or associative aspects: how do the artistic considerations of your VR experience relate to our subject of “DIS:SOLUTION”? VRHAM! is looking for submissions in the following categories. During the first day of VRHAM!, the winners of the VRHAMMY! Awards will be announced, with the main program award recipeint winning €5000 and the emerging artist recipient winning €2500. Throughout the conference, there will be workshops and educational events to learn VR/AR/XR production. 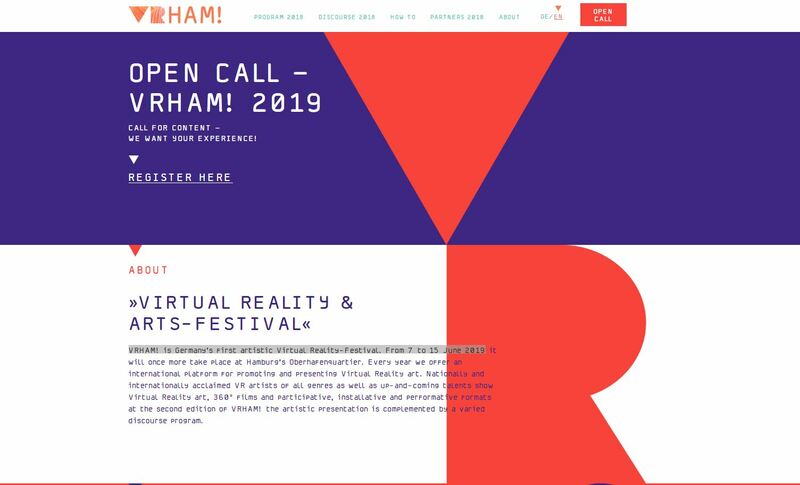 Visit VRHAM!’s website for more information about submitting your work.